Tragedy hit a particular family only recently as a young lady who happens to be the mother of the house died during childbirth. The woman named Judith Chidimma Ejike who was just aged 26 left this world during child labour. Her newborn, on the other hand, survived the encounter and is presently hale and hearty. 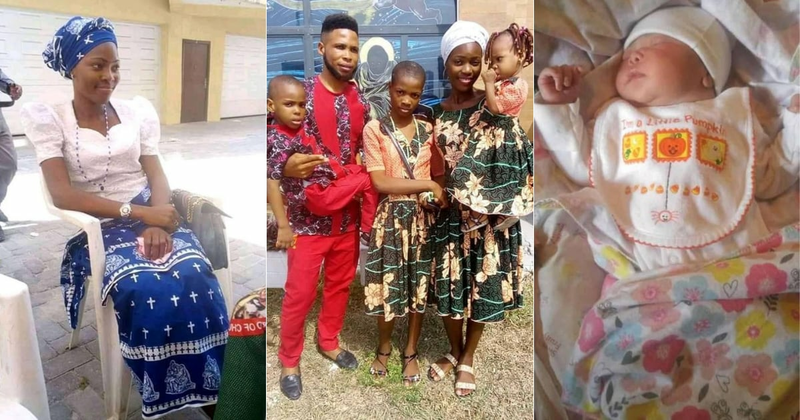 The woman who is the wife of a certain man named Ejike lost the battle during childbirth and gave up the ghost on March 30. This death has so grieved her friends and relatives in so much that some have escaped to social media to express their grief. One such person has been identified as Promise Young Nwoke on Facebook. The individual who was so shaken by the death of Judith shared a post to this effect. In the content posted online, it was indicated that the young lady had also left other children behind. A distraught and grieving Promise prayed that these children whose mother is no more receive the needed help and care they need. The individual also said a few words about their father, the husband of the late Judith. Just knowing how much dilemma and pain he must be in, Promise asked God to grant him fortitude and strength in the midst of the terrible occurence.